Protestors outside a Trump rally in Aizona, March 19, 2016. Earlier in the day, protesters blocked a main highway leading to the rally. (by Lindsey Bever, The Washington Post) – Protesters at recent Donald Trump campaign rallies have made almost as much news as the presidential candidate himself — getting sucker-punched, landing sucker punches, stopping traffic, stopping the rallies, claiming they were banned from the events. 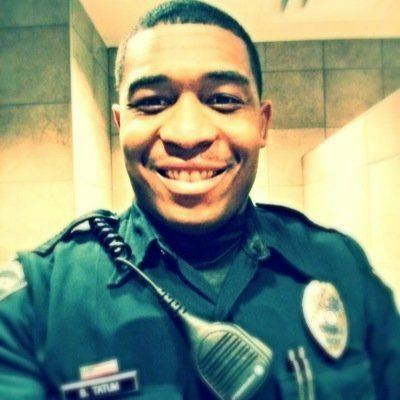 Brandon Tatum, a police officer in the Tucson Police Department, went to a Trump rally on Saturday as a civilian to see what was going on. In a subsequent video, he said he thought there was going to be “a full-fledged riot” at the event — but not because of Trump’s supporters. The protesters were the problem, Tatum said. Tatum said he went to the rally at the Tucson Arena dressed in civilian clothes — a black shirt and khakis — to hear what Trump had to say. “I could not believe what I saw,” said Tatum, who is African American. Someone in the crowd was wearing a Ku Klux Klan hood, Tatum said, and people were “cussing and screaming” and tackling one another to the ground. 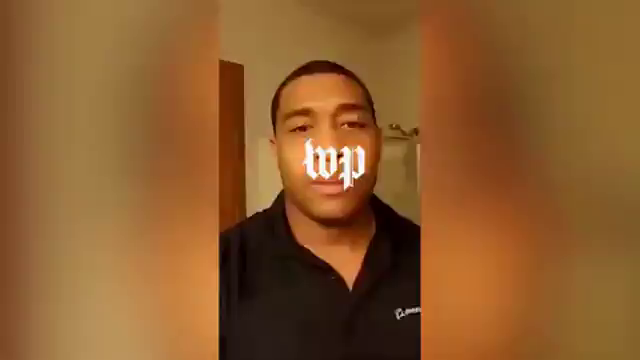 “People were directly yelling at me as if I’m a criminal, and all I’m trying to do is just hear what the man has to say,” Tatum said in the video…. 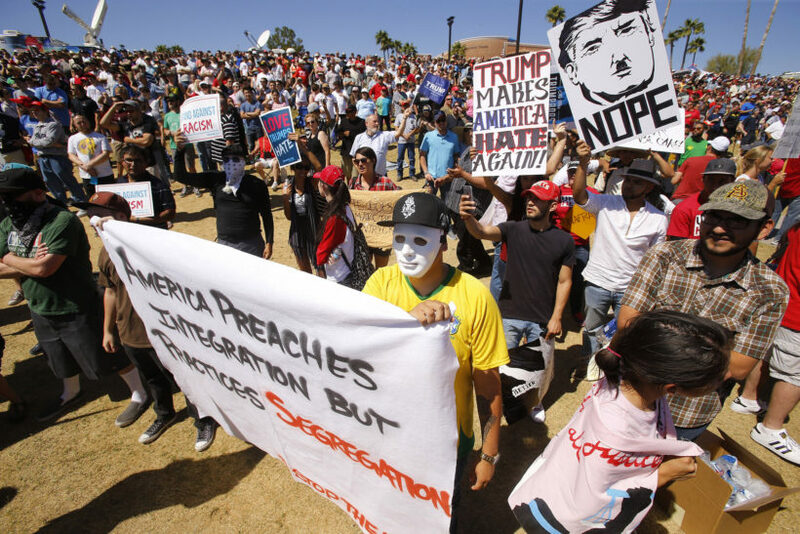 On Saturday morning, protesters blocked traffic leading to a Trump rally near Phoenix — first with pickup trucks toting banners that read “Comb Over Racism: Dump Trump” and “Shut Down Trump,” and then on foot. …Tatum said that after attending the rally he found no issue with Trump — only with the protesters causing problems. Tatum said Trump had rented out the venue and, therefore, had the legal right to remove people from the event. It was the violent protesters who were violating people’s constitutional rights to freedom of speech and assembly, he said. “I’m a police officer, and I have been through a lot of dramatic situations,” he said in his video, “and I have to be honest, I felt very uncomfortable there.” ….. Very proud of how professionally, fairly, & capably my officers handled this afternoon’s political rally & protests. Note to students: Watch the video under “Resources” below before answering the questions. 1. Who is Brandon Tatum? 2. Why did Mr. Tatum attend a Trump rally on Saturday while off duty? 3. a) What conclusion did Mr. Tatum come to about the protesters? b) How does he describe the protesters? 4. What was his reaction to the protesters’ behavior? 5. What suggestion did Mr. Tatum make for other voters who are interested in determining facts?